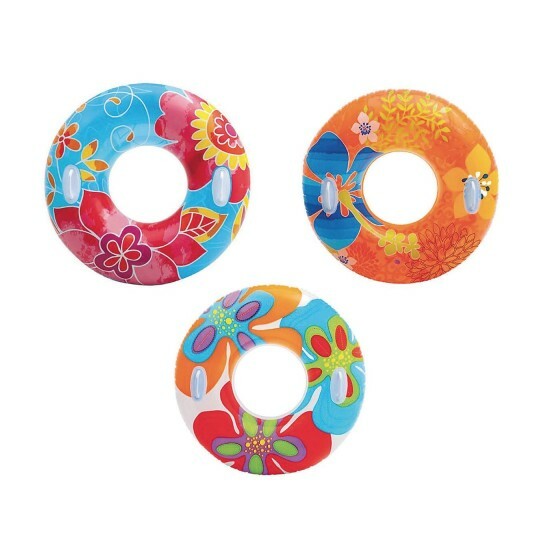 Transparent inflatable pool tubes with handles in colorful, assorted designs. Sorry, no color choice. 38" diameter.